In the late nineteenth century, Belgium was a young, dynamic, rapidly industrializing country. Wealth poured into the country from steel mills, coal mines and new technologies. At the same time, the reopening of the Scheldt river meant that Antwerp was once more a bustling international port. In the growing urban centers, a newly wealthy middle class was buying up real estate and developing new neighborhoods. And in Brussels, a young architect named Victor Horta built the first houses in a new style that would come to be known as Art Nouveau. 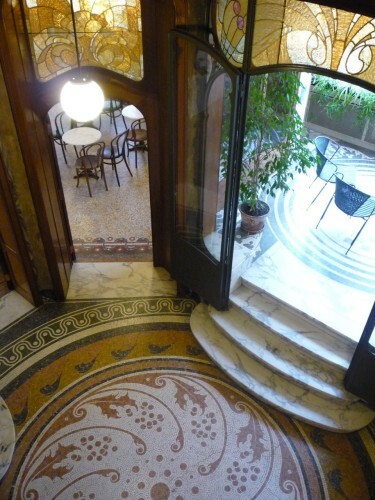 Curving lines, open atriums, applied decoration and total design were his hallmarks. His clients were friends, fellow Freemasons and Socialists–part of a new class of free-thinking, anti-establishment movers and shakers. They embraced this new architecture as a visible break with tradition and old styles, as a symbol of a new way of life. Horta designed highly individualistic houses tailored to each client’s habits and needs. They weren’t just buildings but statements. Other Belgian architects, influenced by Horta, by the English Arts and Crafts movement, and by Japanese graphic arts, also developed new types of ornamentation. Wrought iron railings, sgraffito panels, Tiffany stained glass, organic forms inspired by nature–all contributed to an explosion of decorative fantasy that turned building facades into works of art. This creative ferment was short-lived, however. The outbreak of World War I put an end to such exuberance, and the idealism of just a few decades earlier suddenly seemed both naive and short-sighted. By the 1920’s, the sobriety and rationality of Art Deco had replaced the curving lines and colorful palette of Art Nouveau. 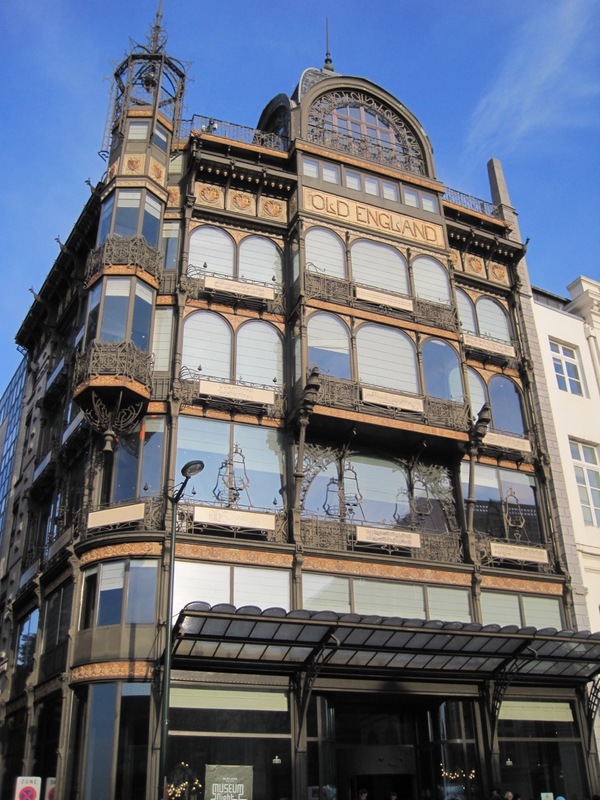 The demolition of Horta’s masterpiece, the monumental People’s House in Brussels, in 1965 served as a rallying point for fans of Art Nouveau and lovers of architecture. A few years later, the Horta Museum, housed in the architect’s own residence, opened to the public. 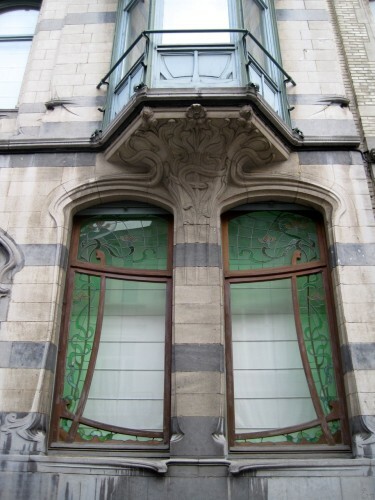 It was the first listed Art Nouveau building in Belgium. 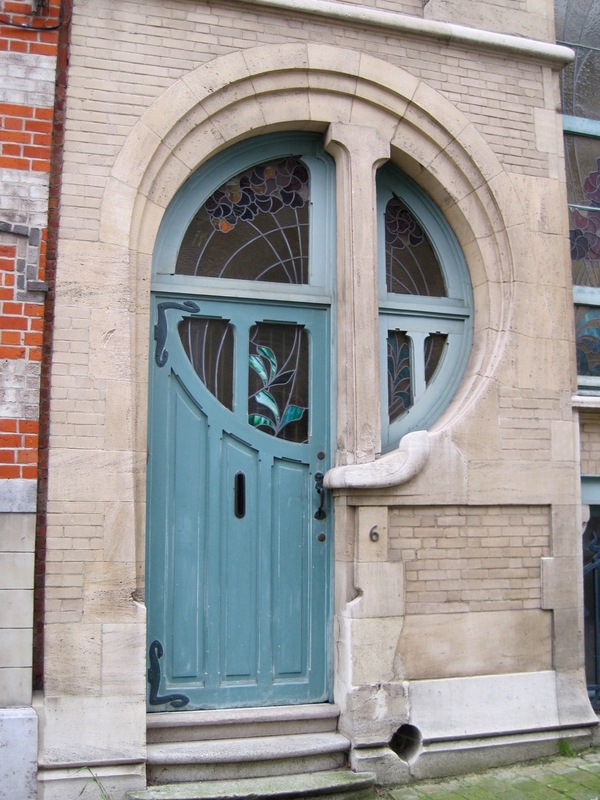 Nowadays, Belgium is considered the birthplace of Art Nouveau and one of the best places to see surviving examples of this unique architecture. In Brussels, the Belgian Comic Strip Center is housed in a former department store designed by Horta. The ornate Old England department store building houses the Musical Instrument Museum. 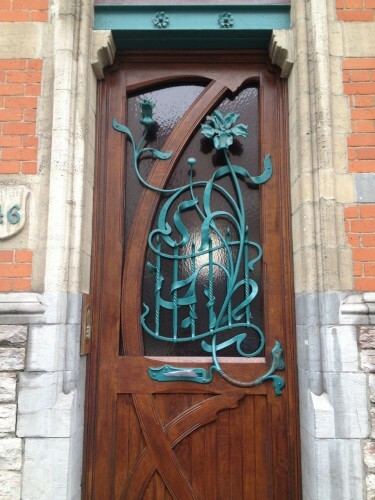 The 19th-century suburbs of Brussels, Ghent and Antwerp are especially rich in Art Nouveau houses. A guided walking tour in each of these cities can reveal the hidden gems whose beautiful facades enrich the urban landscape, and reward the careful observer, to this day.